Hudgins displays a strong eye for different poetic shapes and forms, and how theme and content can affect (and be affected) by those more aesthetic choices. Poems hinging on allusions to Watership Down (where the collection’s title originates) stand side-by-side with descriptions of Eduardo Kac’s famous bioluminescent rabbit Alba, explorations of adolescent sexual awakenings, and emotional explications of Wolfgang Tillmans’s Freischwimmer print series. So too do poems built from couplets mix with tercets, do prose poems juxtapose with thin-lined pieces, do brief imagistic stanzas coincide with poems written in screenplay formats. Notice the transition from “Rabbit Fetus Reabsorption (1)” to “Freischwimmer 30: When the Love Yet to Leave Almost Left”: the former is, or at least is very nearly, a prose poem in two movements of very different lengths (one a single stanza, the other three), while the latter is a single stanza consisting of short, distinctly striking lines. The subject matter and language vary as well; “Rabbit Fetus Reabsorption (1)” features straightforward language and imagery, while the Freischwimmer piece – perhaps due to the shortened lines – feels a bit more ethereal. “A rabbit doe lops through the pasture,” Hudgins writes in the former poem, “nosing around the parched chickweed and beardgrass, noting the pull inside her as the pull of hunger, the suction of need, of gut on gut” (14); in the latter poem, the speaker notes that the Tillmans print is reminiscent of “when we exhaled a day / of descending and let / the green water clothe us / feet to crown” (15). The chapbook is, I would argue, defined by these variations, these oscillations from one style to another, then to a third, then perhaps back to the second before exploring a brand new voice. Take this three-poem sequence from early in the collection: “Feeling What It’s Like to Fall Down” examines a young girl’s sexual awakening; “Above Ground” concerns itself with the speaker’s youthful understanding of death; “Synth in the Nineties” shows a relationship between two adolescent sisters through the medium of Super Mario Brothers. Here are three poems that all address similar themes, but each with very different points of view and voices – one precious and maudlin, one more dark than the others, one a bit more humorous (or at least lighter). These poems, and the collection as a whole, capture the different flavors of life experiences so successfully because Hudgins has allowed her poems – and their sequencing – to be flexible. 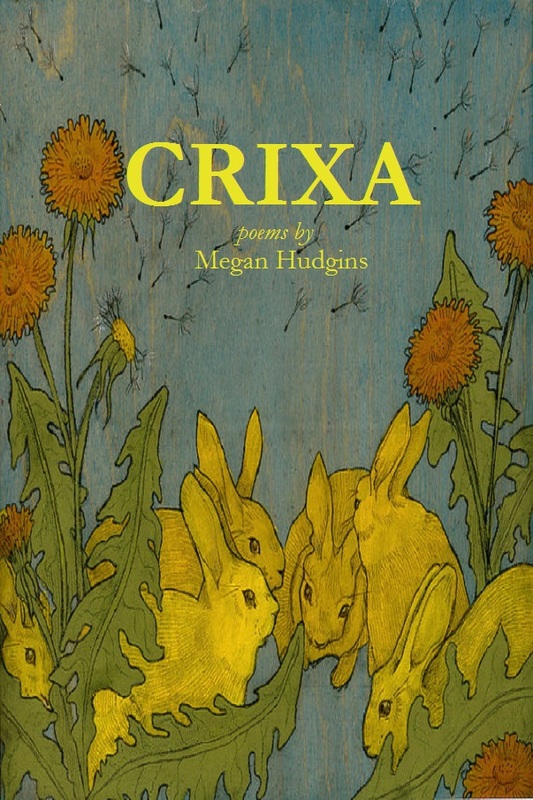 Crixa is a short chapbook with vast ambitions; that such different styles and themes for the most part work so well together is a testament to Hudgins’s strengths as a poet: her versatility, confidence, and remarkable patience, without which the competing thematic concerns of the collection would be unable to fully blend into a cohesive whole.